Apparently, I love ghost stories. I say apparently, because I’d never before realized just how much these stories stick with me. I was always okay with listening to, watching, or reading a ghost tale, but I never actively sought them out. And yet, at some point, I discovered that if I think back over my life, many of the stories that I really love are, in fact, ghost stories! One of my own current stories is a MG Paranormal Fantasy. At its most basic, beneath-the-plot point of being, it’s about kids who can see ghosts. And I’ve had so much fun with it! 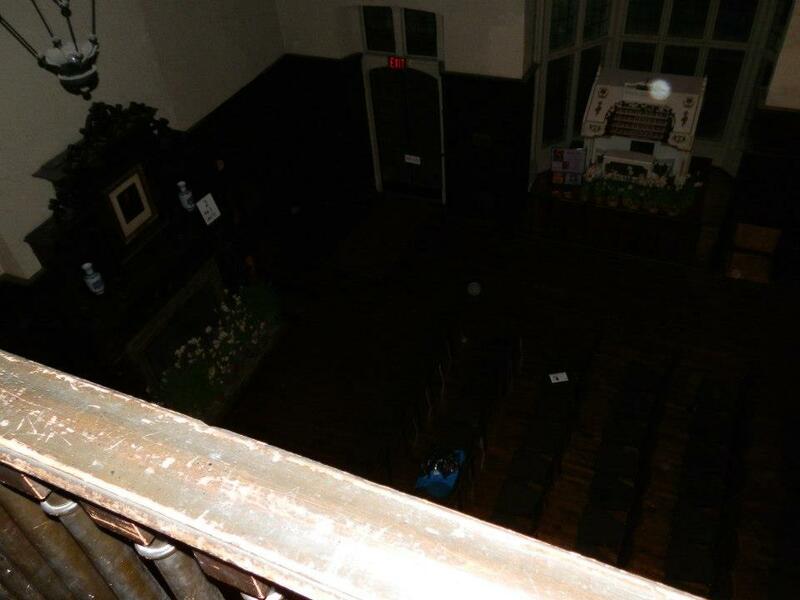 So, when I discovered a place in the nearby city where I could go “ghost hunting”, I had to check it out. I’ve been on a ghost walk before, but this was different. The event took place in a castle, which is a cool enough beginning. After the castle was closed to the public, about 40 of us got to come in. Being in a castle at night is pretty awesome, let me tell you! We sat together and heard about the history of the castle, and some of the ghostly activity reported there. We even got to hear a few recordings they’ve taken before. 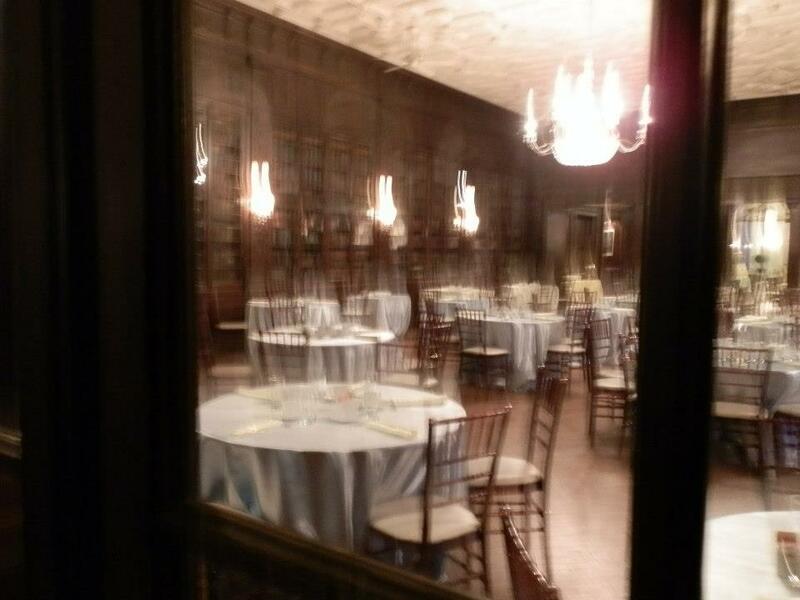 Library, made more ghostly by camera flash! The second half had us downstairs and out in the outbuildings, which are connected to the main house by an underground tunnel. The best part of this half of the tour was when me and my husband went into the potting shed. We were by ourselves, and they play classical music for the plants. Empty room, night outside the windows, and faint classical music playing. It was creepy, for sure! So did I see any ghosts? No. I did catch an orb on one photo, and had a few pricklings/seeing shadows/hearing static on the radio that *could* have been something but probably wasn’t. It was a lot of fun, though, and I’d love to go again. LOL, my G was the same subject. I want to read a really good ghost story. Absolutely bone-chilling. I love a good ghost story, I think it just hits us on a lot of levels. A link to something lost, a look at something unknown, they can be very powerful.